Another year, another Match Day has come and gone for our nation's medical students. This is the moment every medical student looks forward to as he or she powers through another sleepless night of study and clinical rotation. The exhausting work all becomes worthwhile when the soon-to-be physicians are told where they are going to be working for the next several years. Cheers erupt. Champagne, or beer, is consumed. Everybody gets a slap on the back as the end to medical school is finally in sight. Meanwhile, our professional colleagues over at the law school next door don't get quite the same exaltation. Many of them will not have a job when they finish school in just a few short months. In fact, quite a few were probably deceived by their own schools in the beginning when they advertised the job placement success rate of their graduates. The U.S. News and World Report has ranked law schools for years. One of the criteria is how many of the graduates have jobs after graduation. The definition of jobs has proved to be slippery. At first, the schools counted any jobs held by their graduates as a success, whether it was negotiating international contracts for a Fortune 500 company or slinging hamburgers at McDonald's. Once that deception was discovered, the magazine tightened up eligibility so that only jobs requiring a law degree were counted. This dropped the employment rate of 2011 law school graduates to a shockingly low number of 55%. Now another law school trick has been uncovered. Many students are still not able to find jobs that use their expensive degrees. So the schools are paying employers to hire their graduates. The schools subsidize the employers up to $4,000 to hire their students for one year, which conveniently falls within the guidelines of meaningful job placement of nine months that the magazine uses. This helps both the students pay off their school loans and increases the status of the school in that precious rankings list. News of this manipulation has caused the the American Bar Association and U.S. News to deemphasize jobs that the school purchased for their graduates. How big of an affect will this new criteria have? At some schools, it will make a huge material difference. George Washington University law school reported that only 469 graduates of 603 students from 2013 had a job requiring a law degree nine months after graduation. In other words, over twenty percent of their students couldn't find a job that utilized their expensive degrees at least nine months afterwards. Horrible numbers for any job. However now we know that 88 of those jobs the students held were actually sponsored by the school. So the under employment rate for GW law school graduates is in reality almost 37%. If a school advertised that 37% of their graduates won't be able to find a meaningful job after graduation, do you think anybody will apply there? What's worse, GW subsidized the employers $1.8 million to hire their graduates for one year. Guess who has to pay that money? Not the school or their faculty. That money is surely factored into the expensive law school tuition of the students who are still in the classrooms. These kids are heading towards a brick wall at graduation while paying to take care of older students who have already hit that unemployment wall. George Washington University isn't the only law school to manipulate its numbers. Similarly, The College of William and Mary and Emory University also pay for the jobs of about 25% of their recent graduates. W&M used $814,000 last year to subsidize their students' jobs. Of course the schools defend their actions in this deception. As the dean of GW law school, Blake Morant, puts it, "I tend to look at the program as back-end financial aid." It's a pathetic aid package being paid for on the backs of their new students. So for all the medical students who have their new jobs all lined up starting in July, congratulations to all of you. Whether you got your first, second, third, or lower choice location, at least all of you will have a job following graduation. Your buddies who went into law school can only look at you enviously as they pour another Venti caramel latte behind the counter at Starbucks. I recently received this email from the California Society of Anesthesiologists. It's headlined, "Setting Up PQRS Reporting Through the ASA QCDR (NACOR)." Huh? What the hell did I just read? It looks like some toddler had just randomly lined up a bunch of alphabet letter blocks. Am I supposed to make sense of this? Alas, these abbreviations are all important initiatives doctors have to know in order to receive their already compensation from the government. Medicare demands that doctors prove they are giving their patients high quality services or their reimbursements will be penalized. Thus we have the Patient Quality Reporting System, the Qualified Clinical Data Registry, and the National Anesthesia Clinical Outcomes Registry established by the American Society of Anesthesiologists. I won't even go into the details of TIN levels, NQS, or AQI. This goes to show how inconsequential doctors now are when Washington makes healthcare policies. Medical students and residents are too busy studying real medicine. There are thousands of facts to memorize before one is conferred a medical degree. Yet they are taught none of these acronyms as part of their medical school curriculum. But these letters are actually more important to their careers as doctors than knowing which erectile dysfunction drug is the longest acting. No matter how smart a doctor you are, or how much your patients love you, the feds will cut your income unless you can document you are giving "quality" care. Quality as defined by them, not you, your colleagues, or your patients. Maybe med schools should devote a semester to teaching future physicians about how to survive in a government run healthcare world. It will certainly be more practical and beneficial than memorizing the Krebs cycle. A gastroenterologist I was working with the other day asked me about Sedasys, the self administering propofol infusion pump. I told him that very few places have been using it even though it's been on the market for awhile. It doesn't provide very much sedation as the patient has to be alert enough to respond to the machine before it will continue the infusion. And when, not if, a patient goes into respiratory distress, who's going to be responsible for the airway. The GI doc? He replied that since there are anesthesiologists working in other rooms at the surgery center, there will always be one around as a standby for an airway emergency. After all, no anesthesiologist will cruelly let a patient die if there is something he can do to prevent it, right? That would be completely unethical as a physician and against the principles of the Hippocratic Oath. I was livid with anger. I just wanted to sock him in the jaw but that would be breaking my Hippocratic Oath. This guy was taking advantage of anesthesiologists to further his money grubbing career. Unfortunately, he's not the only one. Our Cardiology department is notorious for using anesthesiologists only when they need somebody to save their butts. Too many times they decide they can't wait for an anesthesiologist to help sedate a very sick patient before starting their cardiac cath. Then halfway through the procedure, as they somehow start dissecting the left main coronary artery, we will get an emergency call for an anesthesiologist to come stat to the Cath Lab to intubate and resuscitate the patient. They know they can get away with this behavior because we oblige them time and time again. Another recurring issue is the cardiologist who is too impatient for an anesthesiologist to become available so he can put in a pacemaker that was not originally on the surgery schedule. Even though he may be 45 minutes late on all his cases, if an anesthesiologist isn't ready when he is, he will take the patient into the room himself and start sedating with Versed and Fentanyl. When he starts digging into the left pectoralis to form the pocket, the patient becomes difficult to control because he's not alert but still not adequately sedated. Then the call goes out to get an anesthesiologist ASAP. When I'm faced with a situation like that, I am always tempted to turn around and walk out. I have never met this patient before. The patient is already sedated and it will be impossible for me to get an adequate consent for me to give anesthesia. That's practically assault in the eyes of the law. Plus this is not an emergency procedure that I can attribute for lack of a consent. But my professional side eventually takes over and I help the cardiologist finish his case. Why? Because it would do nobody any good for the patient to not have his pacemaker put in. He could hurt himself by squirming around on the OR table and his pacemaker might not be positioned properly. Sigh. It's infuriating that other doctors prey on the good intentions of anesthesiologists to further their own agendas. We are physicians too. We deserve the same considerations for establishing a proper doctor-patient relationship as other physicians. I will gladly do my share to help a patient who is truly in dire straits. But if the problem is created by another doctor who knows beforehand that there's a high likelihood that he may need the services of an anesthesiologist during a procedure and doesn't request one before the start of a case, what are my obligations to help him out? Sadly, I just bite my tongue and assist anyway I can until the patient is safely in the recovery room. Because as an anesthesiologist I will never abandon a patient to heartless doctors. The New York Attorney General's Office has ordered an insurance company to pay for anesthesia services rendered during colonoscopies. The State AG Eric T. Schneiderman penalized Emblem Health $25,000 for billing a patient for anesthesia after his screening colonoscopy. According to the Affordable Care Act, aka Obamacare, screening colonoscopies are part of the free health maintenance procedures that are mandated by the law. The insurance company ran afoul of the law when a patient was billed $1,320 by an anesthesiologist who was not part of his insurance network. The company paid $924 but told the patient to pay the balance. That's when the patient lawyered up and called the AG's office. According to the Attorney General, anesthesia is a necessity when a patient undergoes colonoscopy. Therefore, as required by the ACA, the patient does not have to pay any deductibles, copays, or coinsurance. What can we take away from this? One, that anesthesiologists should get down on their knees and thank their deity of choice for the ACA. Now, when patients who have these government insurance plans come in for colonoscopies, their anesthesia bills can't be denied as so many private insurance companies try to do. What is more amazing to me though is the obscene amount of money the anesthesiologist is billing. A colonoscopy typically takes no more than ten to fifteen minutes. In the hands of an efficient or unscrupulous gastroenterologist, seven or eight colonoscopies can be knocked out in an hour. If this anesthesiologist is able to collect that much money on each one, it's easy to see why some anesthesiologists truly have the best paying job in America. So this is where all my ASA and CSA dues money goes. 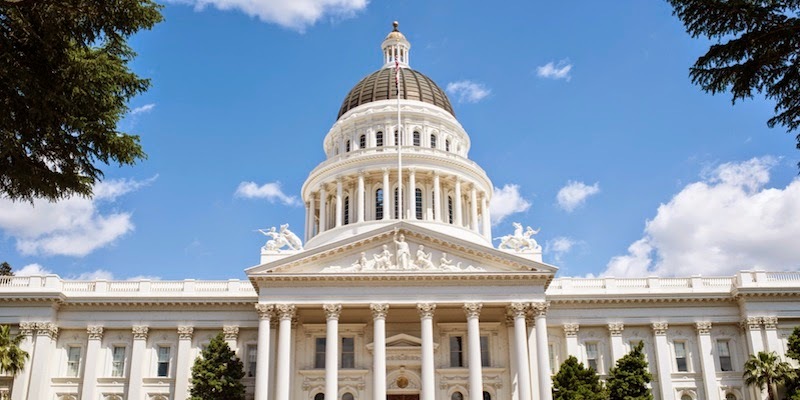 As part of its promotion of Physician Anesthesiologists Week back in January, The American Society of Anesthesiologists and the California Society of Anesthesiologists got State Senator Richard Pan to sponsor Senate Concurrent Resolution No. 4. SCR 4 states that anesthesiologists have thousands of hours more training than nurse anesthetists. We are leaders in researching and promoting patient safety at every level of perioperative care. A survey conducted by the American Medical Association showed that patients overwhelmingly prefer an anesthesiologist to care for them over a CRNA. Even though anesthesia is now extremely safe, there is still a potential risk of unforeseen complications. When that happens, the extensive training and quick thinking of anesthesiologists should be present to handle the situation. And here's the kicker, "There is up to a 20 percent reduction in adverse events when physician anesthesiologists lead the anesthesia care team." Because of all these extensive advantages of anesthesiologists over CRNA's, the state of California declared January 11 through 17, 2015 Physician Anesthesiologist (sic) Week. Aside from the fact that this resolution accidentally declared that the commemorative week applies to only a single unmentioned anesthesiologist, the statements that are made by the California Legislature are pretty incredible. There is a 20% reduction in adverse events when compared to CRNA's? Why hasn't that data been more widely publicized before? That is a pretty significant difference in patient care. The information should put a kibosh to the whole debate about CRNA's being able to practice safely without an anesthesiologist's supervisory role. Unfortunately SCR 4 doesn't include a bibliography of the sources of its statements. The most likely origination was probably from the CSA itself, which fed this information to Sen. Pan. Since medical accuracy is not as important to politicians as monetary contributions, I suspect that the 20% number is probably more propaganda than truth. I'm so glad I contribute hundreds of dollars per year to my state society just so they can crow about passing some bogus commemorative week on my profession's behalf. Makes me feel a whole lot more secure about my line of work. This is really cool. This is the very first video of anesthesia being used during surgery. The operation took place in Buenos Aires in 1899. The operation involved resection of a lung cyst. It was performed by Dr. Alejandro Posadas. Because of the filming technique, the image is inverted. The procedure actually is on the right side of the patient. The anesthetist can barely be seen at the top of the patient. He is holding a glass bottle with what was probably chloroform in his right hand and dripping it onto a cone on top of the patient's face held with the left hand. The anesthetist was the medical student Rodolfo Roccatagliata. You can see how far medicine has progressed over the last century. Notice the surgeons operated with their bare hands. They are also wearing their white lab coats while operating. The patient's airway is totally unprotected. There was no double lumen endotracheal tube for a thoracic operation. Heck there wasn't even a single lumen ET tube. There was also no patient monitoring of any kind other than the anesthetist's own eyeballs. There were no blood pressure cuffs, ECG's, pulse oximetry. Nothing. It goes to show how daring the doctors and patients were back then. But that's what pioneers had to do to advance science and make what medicine is today.